Fall is the Thanksgiving of seasons: you spend a long time getting ready for it, the fun part lasts a short time, and then there’s the clean up. This year was a particularly beautiful autumn; Mother Nature put on a glorious show. But the actual time when the leaves are at their most colorful lasts a couple of weeks at most. Then everything falls down and you learn to be one with the rake. I know that winter is inevitable, along with the cold, and the lack of color. 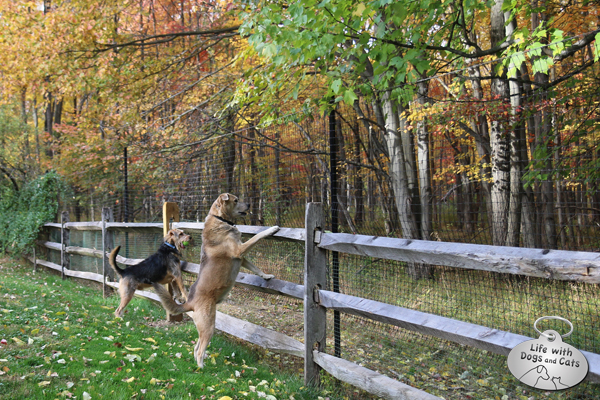 So I spent as much time as I could outside with the dogs this autumn. The weather cooperated, the sun highlighting the crimsons and oranges and golds of the leaves. 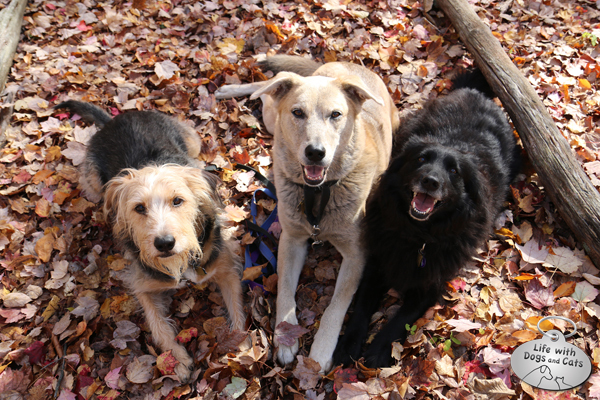 Not only did we all enjoy the days, but everyone was so photogenic against the leaves that I took about eleventy billion pictures of my dogs. 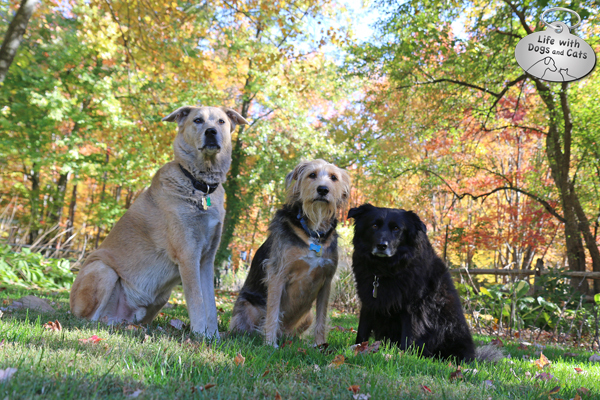 Turns out, Lilah, Jasper and Tucker look great in fall colors. Below are some of my favorites. Lilah can look so regal and serious, when she’s really the silliest of the bunch. 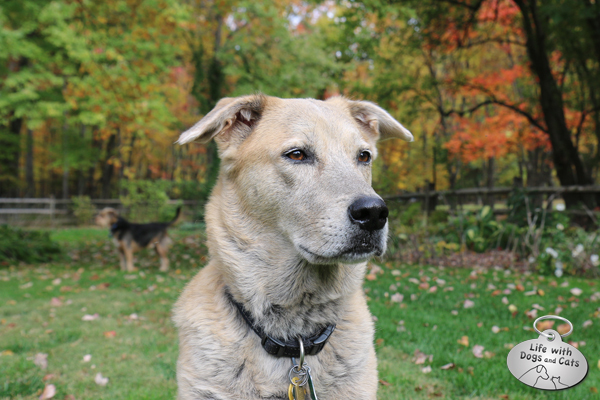 Notice the reflection of the green grass on her gray muzzle. Tucker just wants me to throw the ball already. 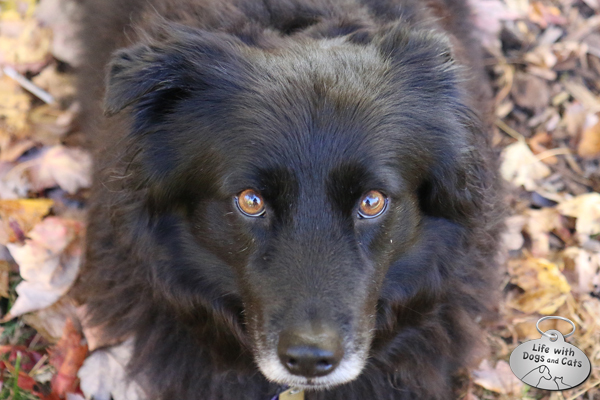 The browns and tans of the leaves around Lilah bring out the caramel color of her eyes. 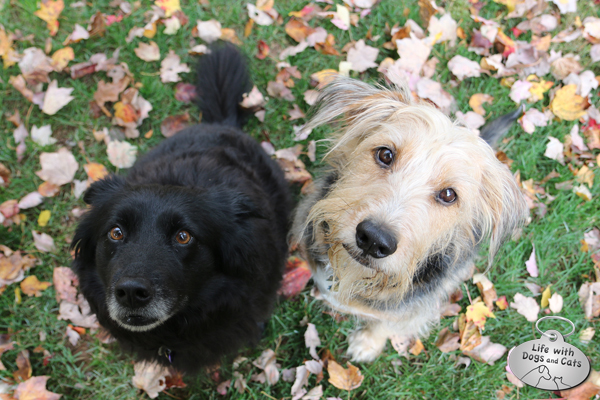 Lilah and Tucker: look at these two cute faces, with all the leaves around them. 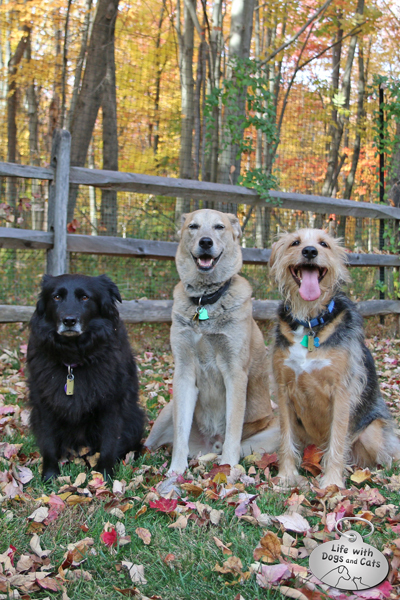 Lilah looks serious; Jasper and Tucker are smiling. But they’re all happy to be outside. The trees in our neighbor’s yard were gorgeous this year, particularly when the sun hit them just so. 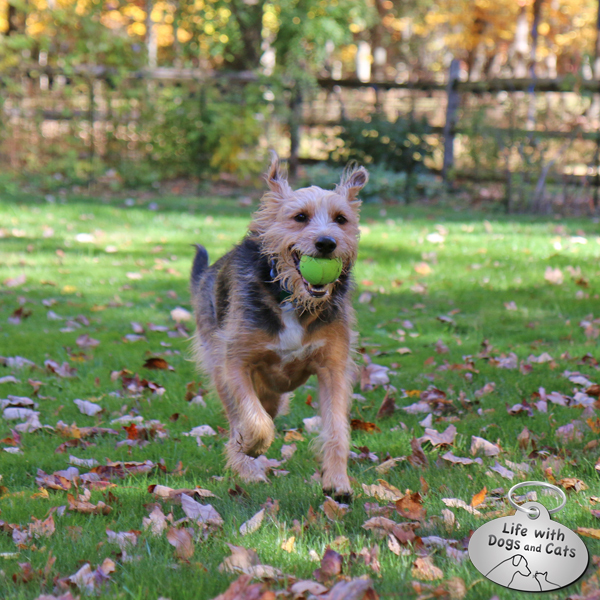 Winter, spring, summer or fall, Tucker plays ball. There’s something in the woods. Maybe it’s worth barking at. Or maybe not. Tucker is not letting go of his precious ball. There’s something out there. Jasper, Lilah and Tucker are sure of it. Calvin is bathed in the warm glow of the sunset. 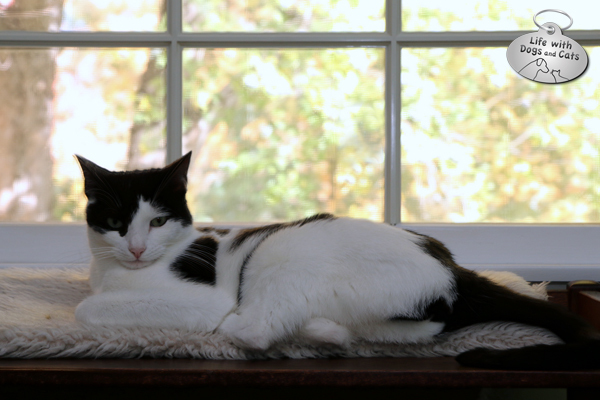 Elsa Clair is oblivious to the beauty outside the window. Until a bird chirps. What’s better than a walk in the woods? 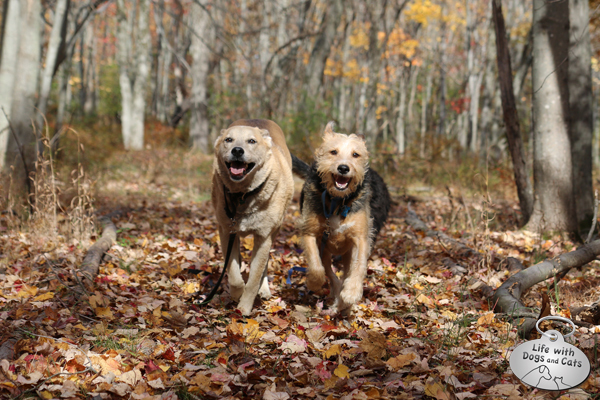 A run in the woods. You can just barely see part of Lilah right behind Jasper and Tucker. 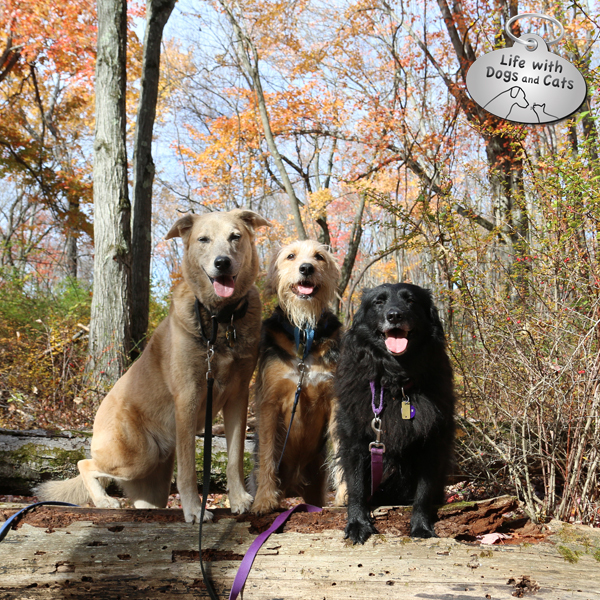 Tucker, Jasper and Lilah pause for a photo op on the path. One last stop to pose on a log. What good doggies! 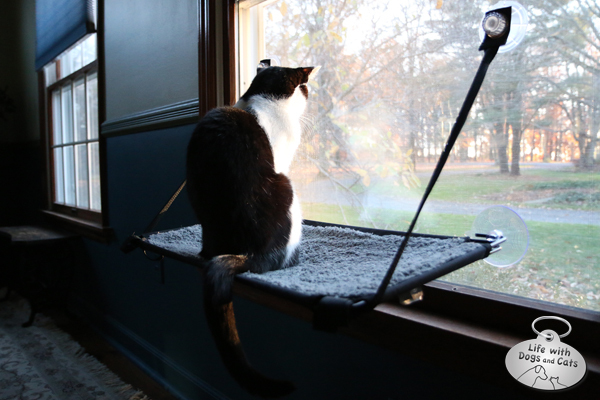 Did you and your pets enjoy this season? 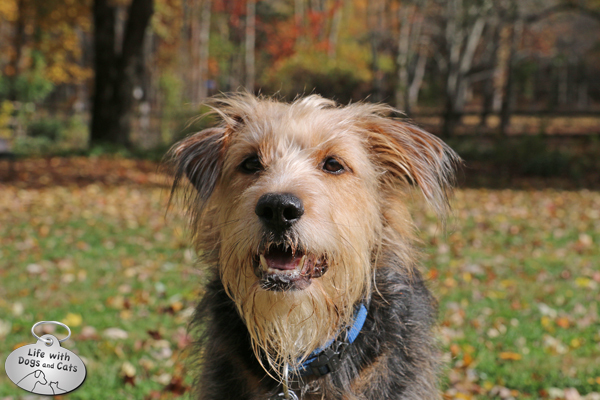 1 Comment on "Fall is the New Black: All Dogs Look Good in Autumn"